The Shin Bet informed former PM that his phone had been breached and there was concern that the information in it is held by Iranians. 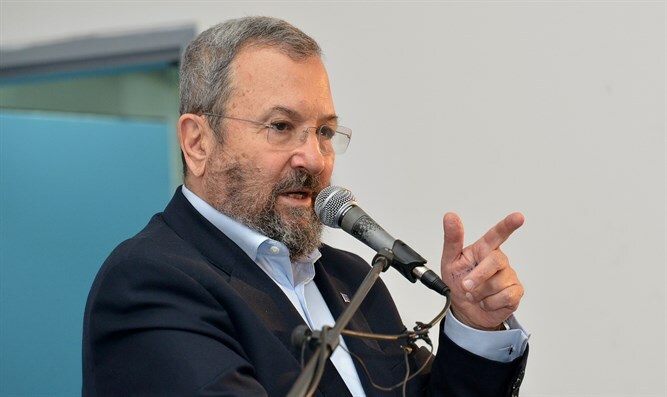 Hostile elements broke into the mobile phone of former Prime Minister Ehud Barak, and the Israel Security Agency (Shin Bet) is concerned that information from the phone has reached Iran. According to a report on Sunday on the “Uvda” program which airs on Channel 12, Shin Bet Director Nadav Argaman came last July for an unusual meeting at Barak's home, during which Argaman warned that Iranians were holding information from Barak's mobile phone and computer. It is possible that the Iranians did not break into the phone themselves but bought the information from foreign hackers who carried out the actual breakout, according to the report. Sources informed on the matter said that this was not negligence on Barak’s part, and that in any case, the material that was found was not embarrassing. The Shin Bet instructed Barak how to proceed later when using his cell phone and computer. Last Thursday, it was reported that Benny Gantz's telephone had been hacked by Iranians. Senior Shin Bet officials approached the former Chief of Staff about a month ago and informed him that one of the cell phones in his possession had been hacked by an Iranian cyber network. The officials warned that the contents of the telephone, including Gantz’s personal details and correspondence, were now in the most hostile hands. Senior Shin Bet officials reportedly told Gantz to act according to his understanding.